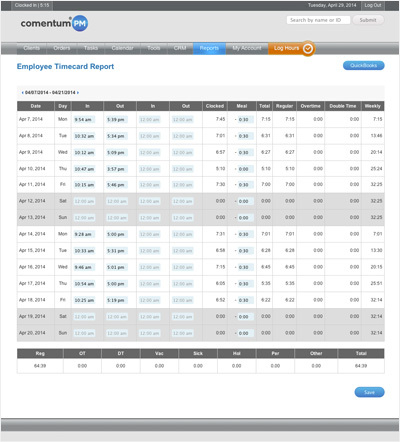 Simplify your employees's time tracking and attendance with Comentum's web based time clock software. Comentum's Time Clock Software is a fully customizable PHP-MVC based Cloud ERP System with intutive design and powerful features. You have full control of the software and data - install it at your corporate network and you do not need to be concerned with the security and privacy of your data. Customizable - Customize it to fit your needs - you have full access.